We do suggest an appointment when shopping for Wedding Dresses, Menswear, and Bridesmaids. Departments such as Prom/Formal Occasion, Mothers of the Wedding, and Flower Girl welcome walk-ins and are first come first served. How long are the reservations? 1.5 hours, or less depending on appointment needs. At Fantastic Finds, it is important to us that we provide brides with well-designed dresses at different price points. Our wedding dresses range from $850 and go up to $3,400. Many of the wedding dresses in our store are between $1,200 and $2,000. Each season our team of stylists are so excited to present the latest trends in wedding dresses for you to select from. What size wedding dresses do you have in store? We offer sizes 2-34 in most of our wedding dresses depending on the designer and price point. How many gowns do you have in store? How many are plus size? We know you love to shop where there are many choices and at Fantastic Finds, we focus on bringing you the best wedding dresses. It can be exhausting sorting through the racks of dresses that are not what you are looking for. Each season we showcase 300-400 wedding dresses with 40% of those in the plus size range! It’s exciting to want everyone to share this experience with you. We recommend bringing people who understand you, know your bridal style, and will support you in your choice of wedding dress. 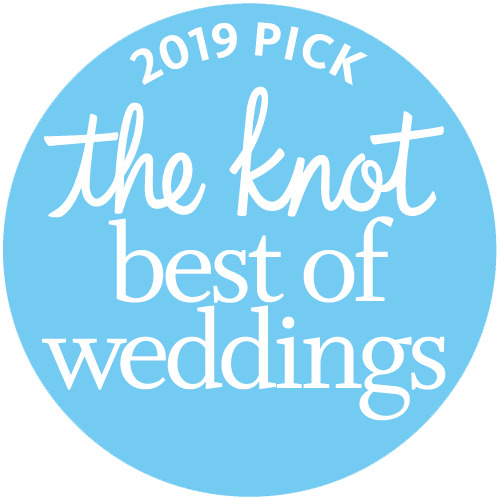 We promise that the right bride team will make your shopping experience that much more enjoyable! Will I have assistance from your store personnel at my reservation? Absolutely! You will have one of our Master Stylists by your side at all times. And she will be focused on you and finding the dress of your dreams. How much money is needed in order to order a wedding dress? All special-order dresses are paid in full before an order will be placed. We accept all major credit/debit cards and cash. Payment plans are available when time allows. What items do I need to bring to my reservation? Should I wear specific undergarments? Really, all we need is you! However, most brides find it helpful to bring shoes that are a similar height of what they would like for their wedding day. A strapless bra or shapewear (try and leave the darker undergarments home) are suggested, as our stylists will be assisting with dressing and zipping you into the gowns. How long does it take to receive a wedding dress once it is ordered? Please allow 4-6 months for delivery on a wedding dress and 2-3 months for the alterations. We recommend ordering your dress no less than 9 months prior to your wedding date. Most of our bridal companies do provide rush delivery options. Rush time periods and charges vary by each designer. We are here to help you, if you find yourself in a "rush" situation. We absolutely do! Everything in our store can be purchased off the rack and taken home the same day! Can I also look at bridesmaids while shopping for my wedding dress? Bridesmaids dresses are in a separate part of the store and require an additional reservation. We suggest finding your wedding dress first and then coordinating the look for your maids second. You never know if you might fall in love with a wedding dress with a hint of color that will change your color palette for the wedding party. We kindly request that you not bring children or infants to the bridal reservation whom are under the age of 12. A bridal salon is not a fun place for children and they become easily bored and can disrupt you or other brides from this important mission. What size Bridesmaids samples do you have? Our sample sizes vary – we make every effort to have a variety of samples in size 8-30. When the designer provides the samples, they often predetermine what sizes and colors they will provide. Are the dresses made to my measurements? Unfortunately, no – your measurements help determine where you fit proportionally into the designer’s standard size chart and we can help you determine the best size for the best fit. If I was in a previous wedding can I just order the same size I had before? Each designer has their own size chart and different styles fit differently. Don’t be surprised if you fit into a different size from before. Yes, we reward bridesmaids that pay in full during the first appointment with discounts off their dress. How much do I need to put down to order? All special-order bridesmaid dresses require payment in full before they are ordered. Do you have payment plans for bridesmaid dresses? If you do not have the full amount to put down when you are measured, we can create a payment plan as long as it will not incur rush charges when the balance is paid in full. How long does it take to special order bridesmaids? Standard delivery times can average 10-14 weeks. Each designer is different – we also work with companies that offer rush delivery as an option for an extra fee per dress when time is tight. Deliveries can often take longer during peak season. We are here to help with options for short time lines. Do I need an appointment to look for prom? What is the price range of the dresses at your stores? Our prom dresses range from $180 - $850 and are sorted by size and by color. How many gowns do you have in store? We have hundreds of prom dresses in-store, and are receiving new dresses almost daily! What if I find a dress in-store, but want a different size or color? We often stock multiple colors and sizes in some of our dresses. If we do not have the dress in-store in the size or color that you want. Then one of our prom stylists can check in with the designer to see what is available for order.